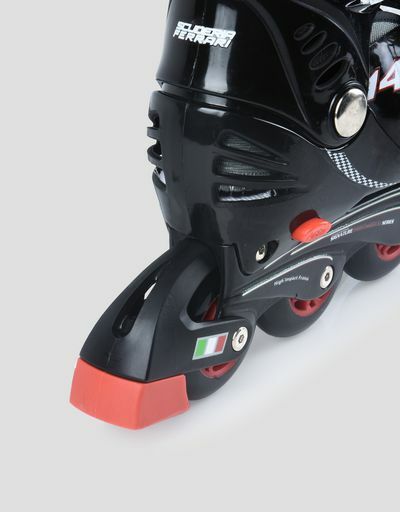 Strong and hard wearing, these in-line skates designed for young Scuderia Ferrari fans can be adjusted to fit growing feet. 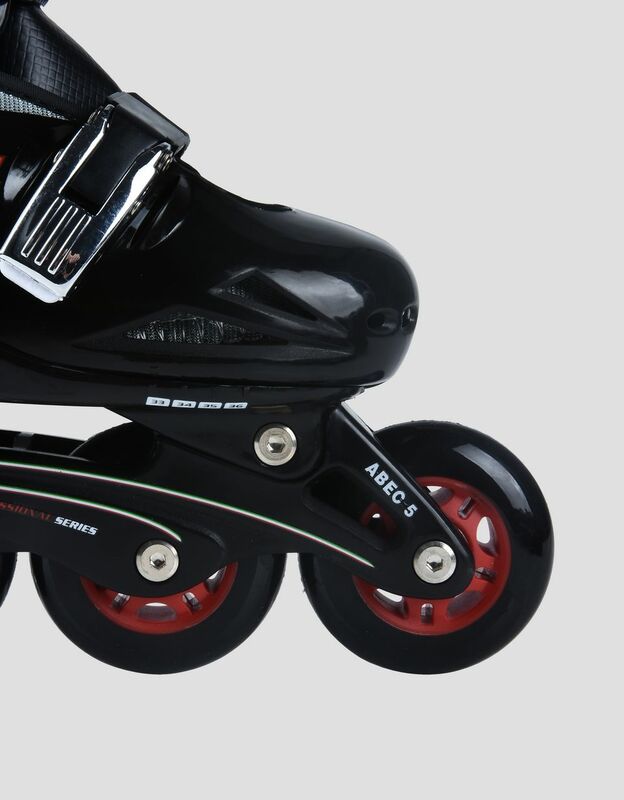 The size you selected is a 30 (EU) and corresponds to the 11C (CHILDREN) shown on the label. 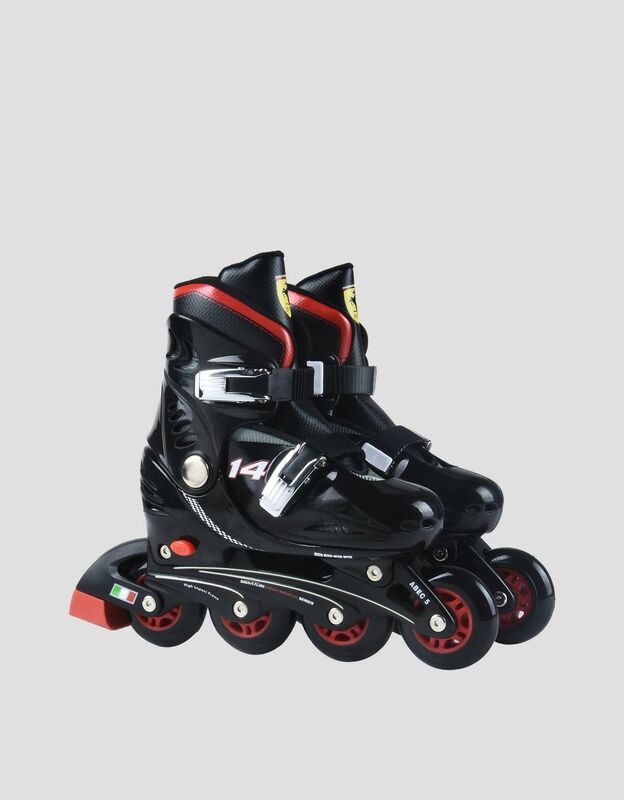 These children’s inline skates are sporty and full of fun. 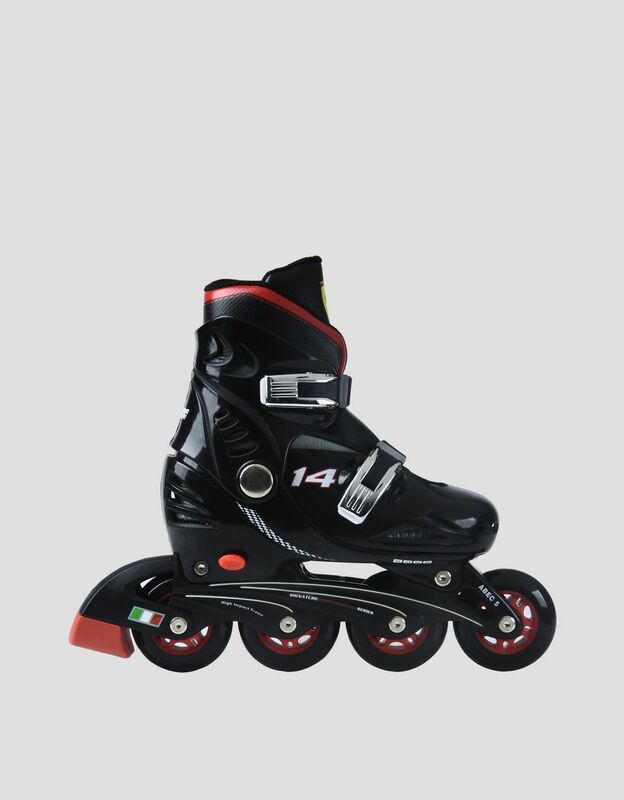 The rigid boot has comfortable padding that supports the ankle and features a large Ferrari Shield on the front tongue, as well as the black and white checkered pattern of the iconic Formula 1 flag and the tricolor on the back. A great way to introduce children to skating.